He must be excited! It is sure a giant step for moms. On the inside, we are probably all just nervous wrecks. Thanks and hugs backs, Sharon! Growing is inevitable. Makes me want to cry. My oldest one is starting kindergarten on Monday. I’m going to bawl my eyes out. Wish it would slow down a bit so we could spend more time with them as babies/toddlers. 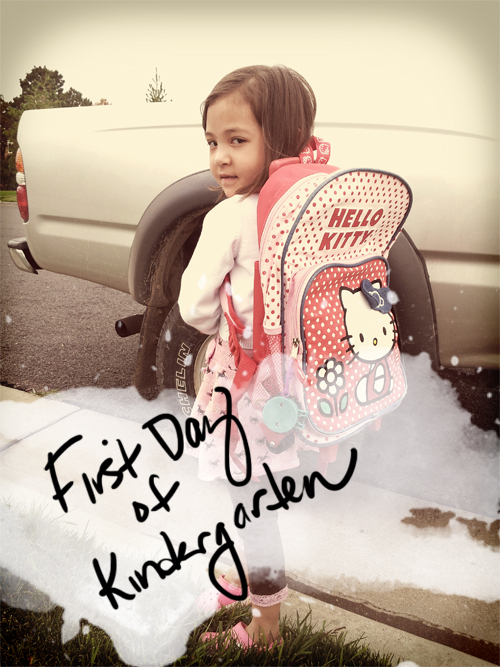 I think the first one in school is just as emotional as the last one starting school. I wish you the best on this new path of motherhood, Mai.